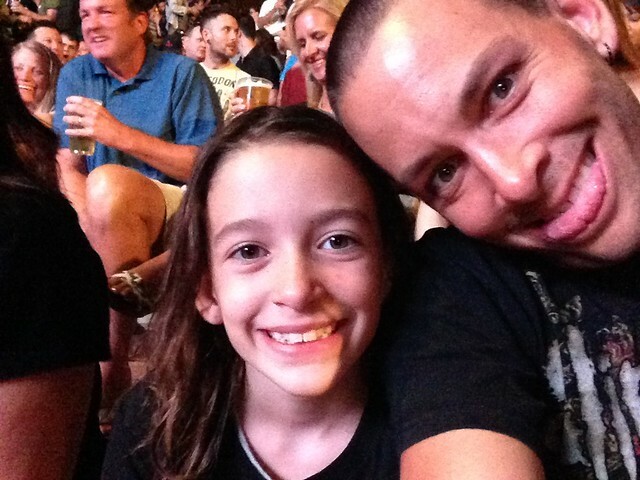 Reagan said she wanted to go see Nine Inch Nails play after seeing some of the concert video earlier in the year. 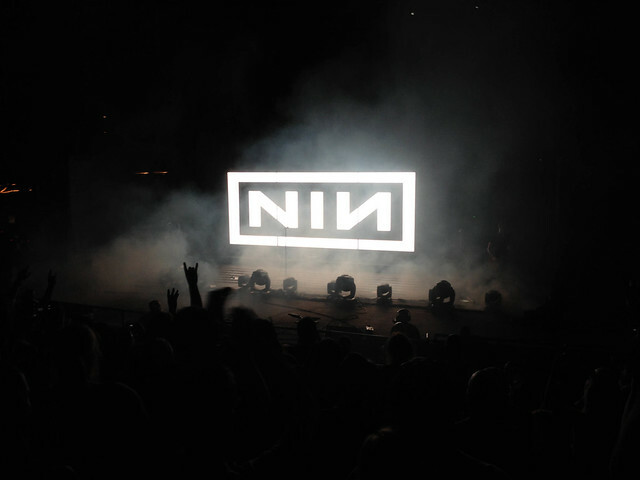 Plus, as we drive to soccer, I often crank up NIN to get her ready to play. She enjoys this type of music. She loves loud stuff. 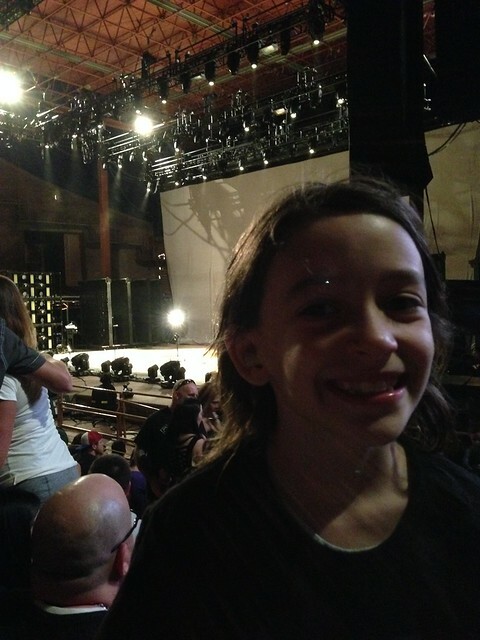 So we got there later, got her a shirt, and got into position right before NIN played for maximum concentration of experience. 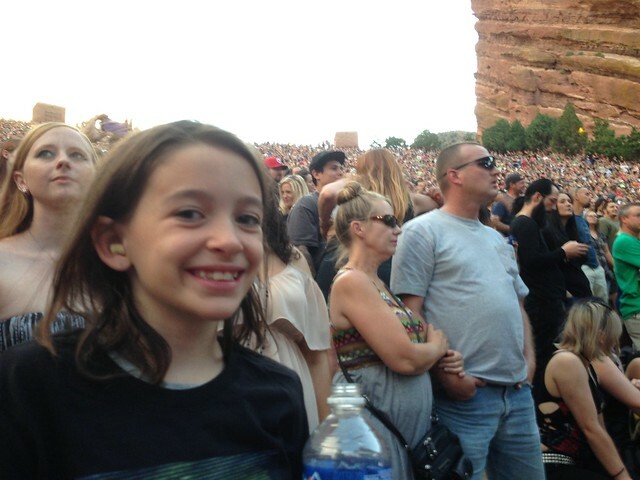 She was blown away by how loud it was at the show. She could “feel the music”. I was a little bummed she didn’t hear “Copy of A” which is a favorite song of hers. But “Head Like a Hole” was and that’s her 2nd favorite. 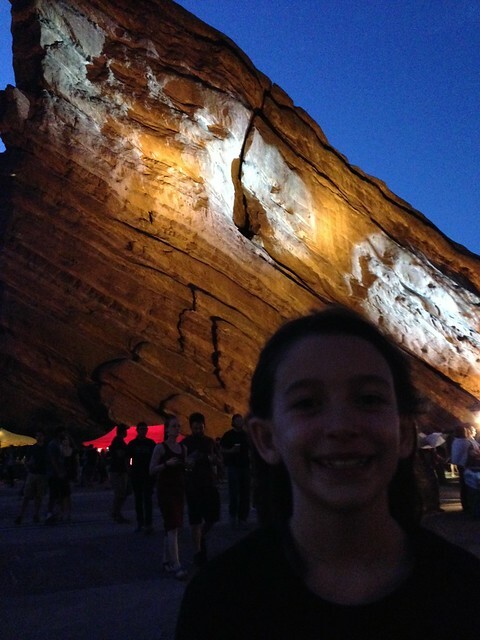 So her first concert ever was a success and she gets to tell people that she saw Nine Inch Nails @ Red Rocks for concert numero uno. That’s about as badass as it gets. She got tired near the end but no complaining. She was very peppy the whole time. Even as we left skipping and saying “I just saw my first concert!”. She is very into these types of achievements. She is enjoyable to take to new things when you have her motivated. A little cameo of Reagan in this video. Thanks for going with me Reagan! We will do it again sometime.